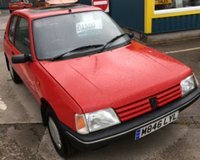 Brasswell Car Sales based in Dumfries has one of the finest selections of quality used vehicles in the Borders area. 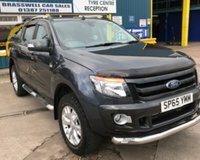 Brasswell Car Sales sells used cars including family cars, sports and 4x4's to customers across Dumfries and the Borders areas. Brasswell Car Sales is one of the Borders leading suppliers of quality used family prestige, sports, 4x4 and specialist cars including models from top manufacturers such as Audi, BMW, Jaguar, Nissan, Peugeot, Saab, Citroen, Fiat, Ford and many more. 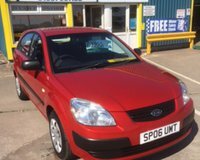 FRF Cars also offer a large range of excellent family saloons, hatchbacks and estate cars, which cater for all budgets with petrol, diesel, automatic and manual models always ready to drive away. Brasswell Car Sales have over 50 used vehicles in stock at any time, situated at our premises giving you plenty of options to choose from. We can offer a wide range of used car financial packages tailored to suit your personal requirements and our finance specialist is always on site, in most cases you and your car can be paid for and driven home on the same day. You can be assured of gaining the most cost effective finance package for your next used car.